Gansui is the originator of Uwajima Taimeshi ( sashimi of sea bream with rice which has started in Uwajima of Ehime Pref. ), and it's a branch restaurant in Matsuyama City. Sea bream (tai) which is caught from wild by pole-and-line fishing, with special sauce and egg. Then put them on piping hot rice. They selected strictly its rice, soy sauce, egg and all things they use. You can eat the best Taimeshi here!◎Traditional local specialty since 100 years ago 'Wild Caught Sea Bream Uwajima Taimeshi' 2100yen. You can eat so much rice because of the relishes, and of course you can ask for rice as much as you want to eat. Farmed sea bream Taimeshi is 1450yen. 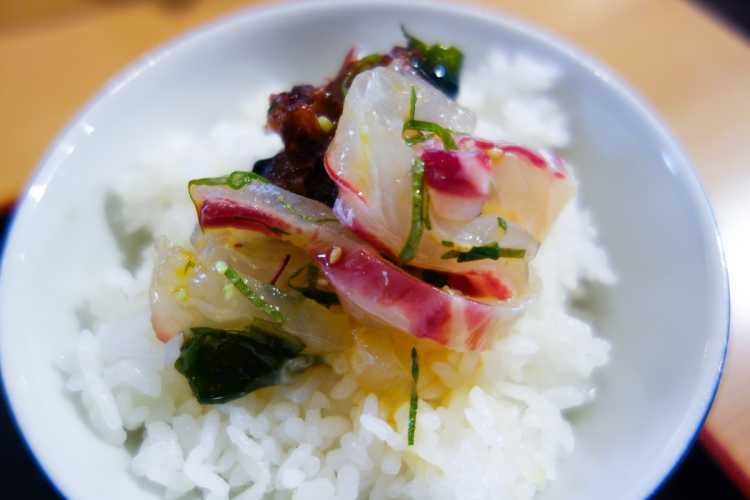 The origination of Uwajima Taimeshi (sea bream sashimi on rice), Gansui offers the new style named 'Gansui Ishiyaki'. 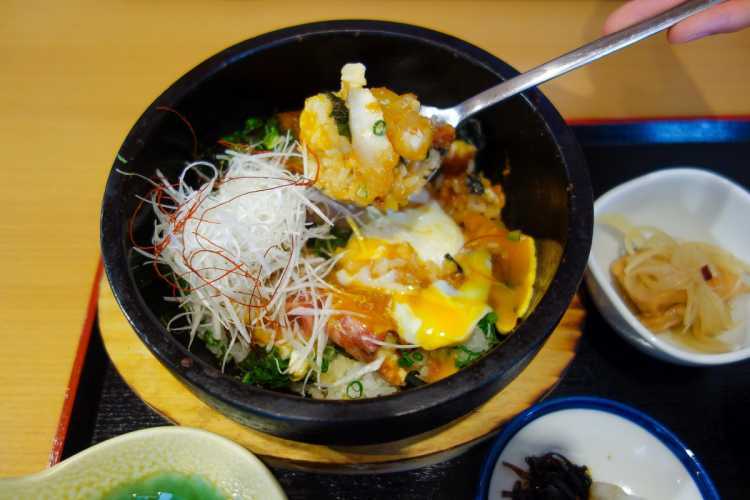 It's served in a hot stone bowl just like Bibimbap, you can eat rice and sea bream scorched savorily! The rich sauce tastes like miso is excellent with fish and egg.◎Gansui Ishiyaki 1450yen. Located at about the center of Matsuyama Castle Ropeway Shopping Street. You need to use toll parking lot nearby, because the restaurant has no parking lot for cars.